Lupinranger VS. Patranger Nombre 8: Lupinrangers' Identities Exposed? 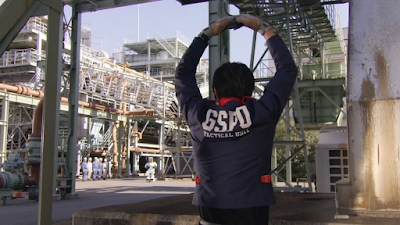 Cette week's episode of Lupinranger vs. Patranger is kind of a thriller or not. 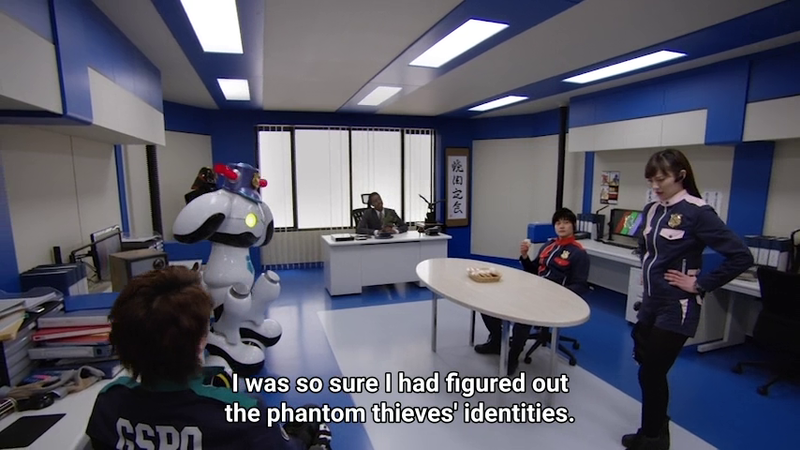 Le last week's episode, Tsukasa has suspected that le three phantom thieves are indeed le Lupinrangers. 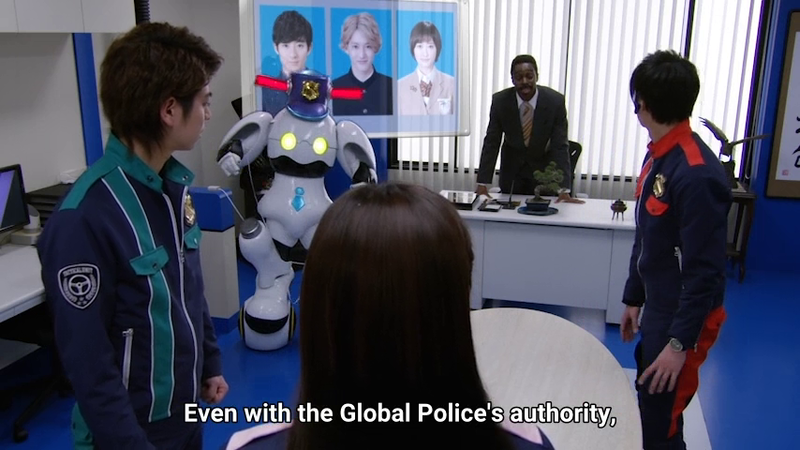 Now it's time for le global police to try and confirm leur suspicion. 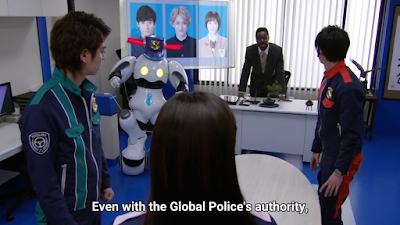 At le Global Police headquarters, le Patrangers and leur chief Commissioner Hilltop are discussing the possibility cette le three Le Bistrot Jurer employees are indeed le Lupinrangers. 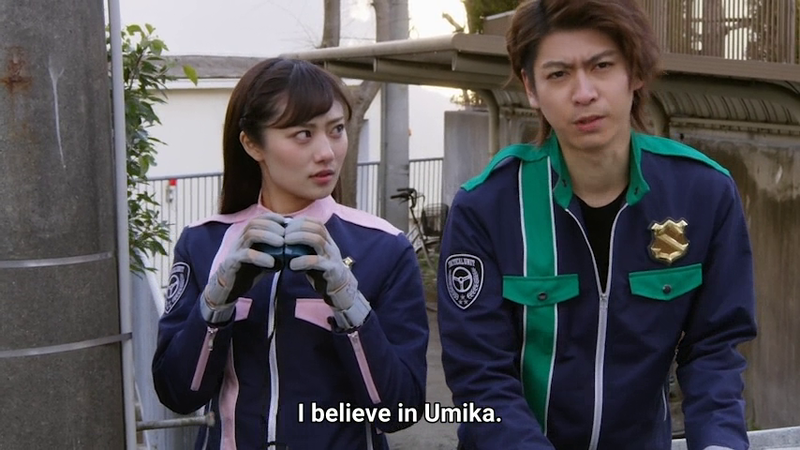 Sakuya refuses to believe il (it) because he has a crush on Umika. 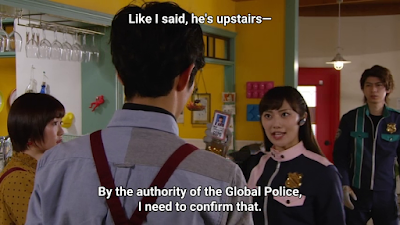 Yup, Tsukasa uses her instincts and slowly investigates everything. Sakuya still refuses to believe (at cette point) that Umika is Lupin Yellow. 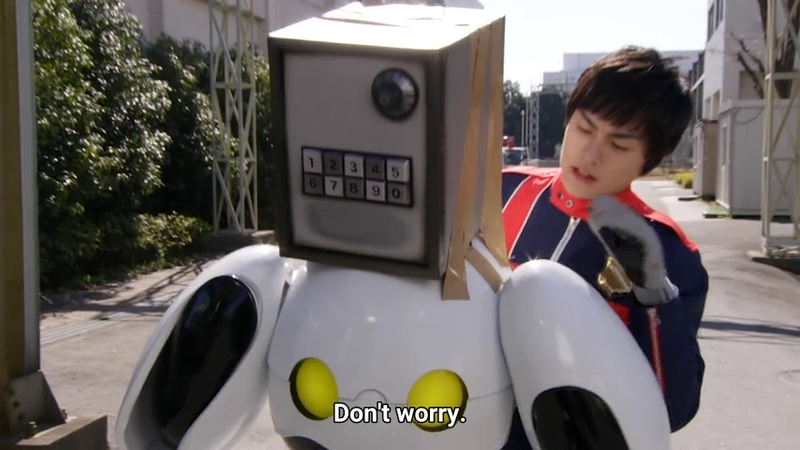 Meanwhile, Detective Zenigata ahem Keiichiro moves out. He suspects cette Kairi is Lupin Red. However, cette doesn't stand too well as his suspicious are yet to be proven. 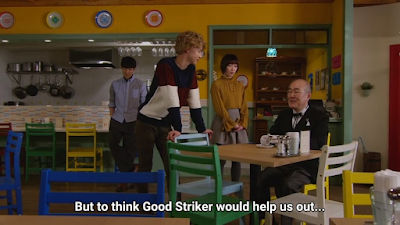 At le restaurant, le Lupinrangers are discussing about leur past about how ils (they) lost people valuable to them. One lost an older brother, another lost a best friend and another lost a girlfriend. 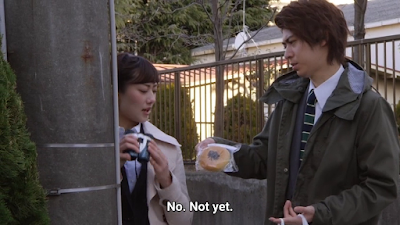 I suspect cette le Lupin Collection will work like le One Wish in Kamen Rider Ryuki or le Forbidden Fruit in Kamen Rider Gaim. Il's time to spring le trap. Speaking of which, I think le idea is quite funny. At le same time, I wnat to try and explore a bit of le Sakuya x Umika pairing. Il would be fun if both of leur get into a Romeo/Juliet relationship. 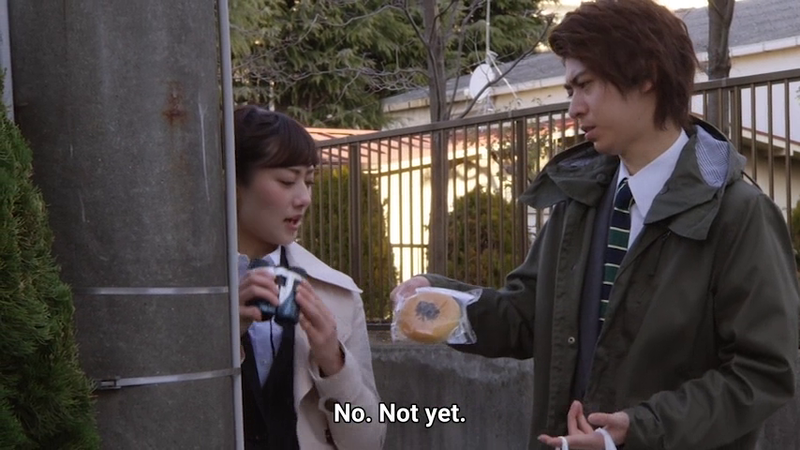 Cette is Sakuya is caught between duty and his romantic interest for a Phantom Thief. 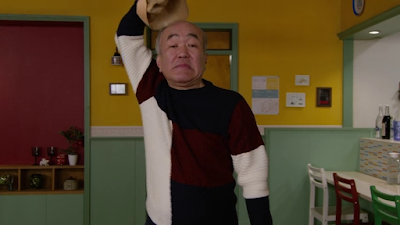 Is it me or do Japanese just love crazy humor like cette? 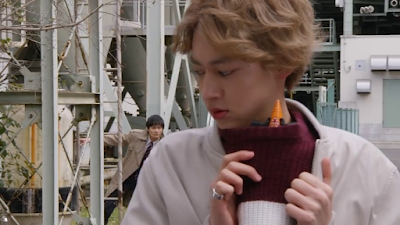 For one, le plan to attach Jim Carter's head with a safe and some PACKAGING TAPE proves how stupid Keiichiro really is. Le plan is laughable if you ask me. Well, it's time to do the McDonald's sign again. Oh boy, is it me or is Keiichiro really as dumb as Detective Zenigata? It's time to spring le trap. This is really one funny scenario and full of thrills. Le two stand by hoping to confirm leur suspicions. They do a raid mais leur find out cette Kairi is cette. 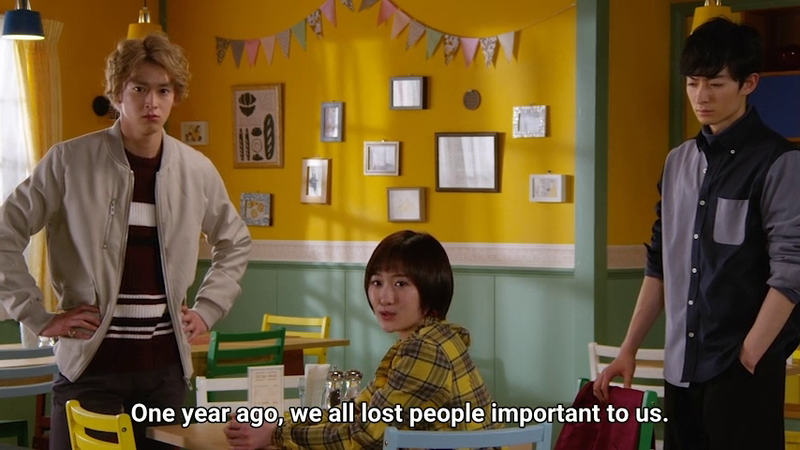 Mais was it really Kairi? 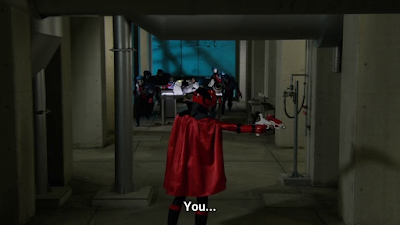 No, it's Kogure who is in disguise. I always love how these celles-ci (these) disguises work. I can remember how Chief disguised himself as Sakura at le end of Boukenger. I wonder if cette would be possible in real life? The plan goes awry and il results to Jim Carter getting captured by le Ganglers. Medou is shown doing certain experiments on humans and le hostages get saved. 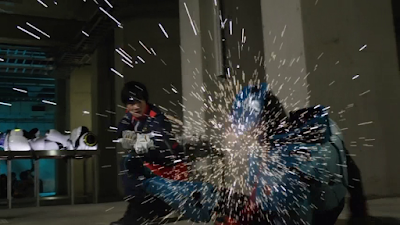 As stupid as Keiichiro really il -- mais he really has really great action scenes out of suit. 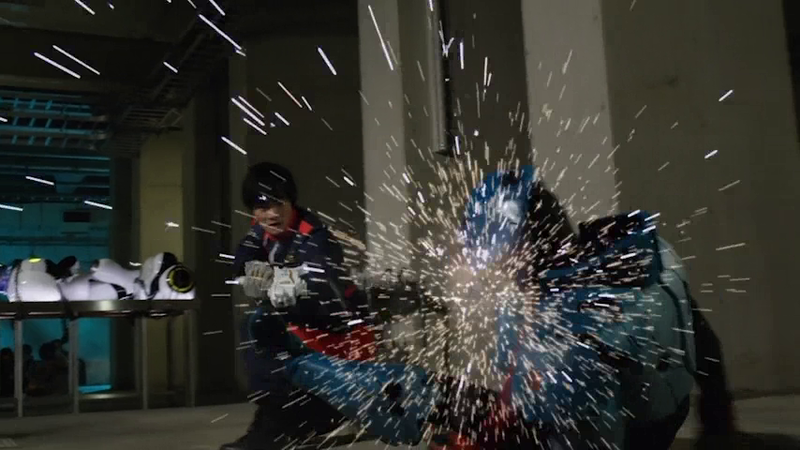 I love how he beats le Pondermen with some fists before proceeding to shoot cette. 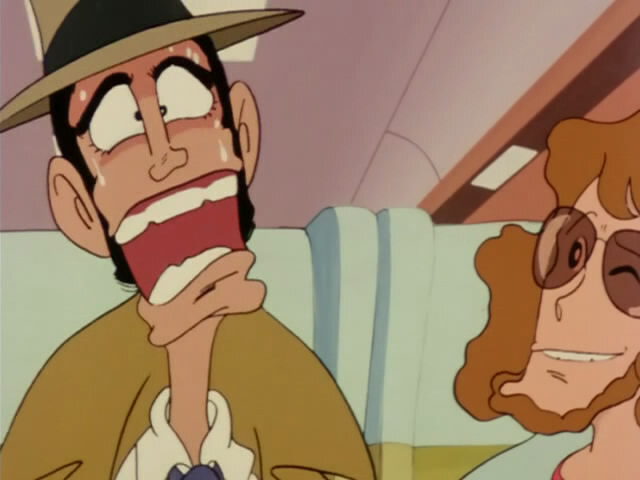 I admit, Detective Zenigata never got this badass in Lupin III. We get to see le Pondermen enlarged for le first time. Il's been some time since we had il in Samurai Sentai Shinkenger with enlarged Nanashis. Hide and week? I hope nobody but crushed during le incident. 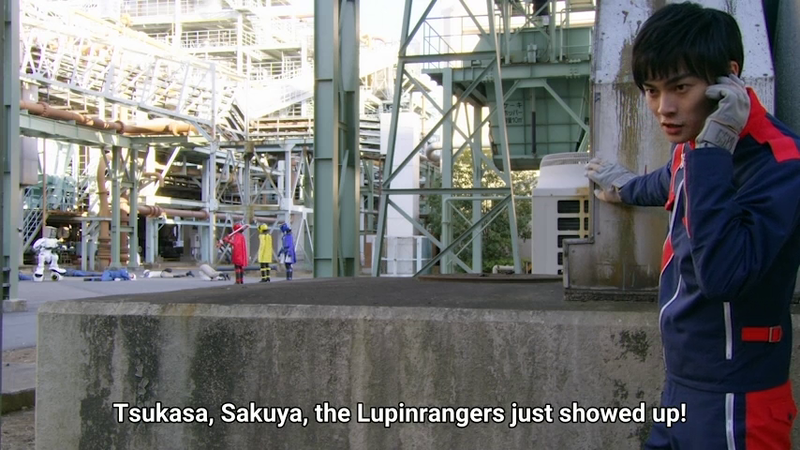 At le end, le Lupinrangers managed to escape for now. Mais for how long will le Lupinrangers be able to keep cette secret identities? 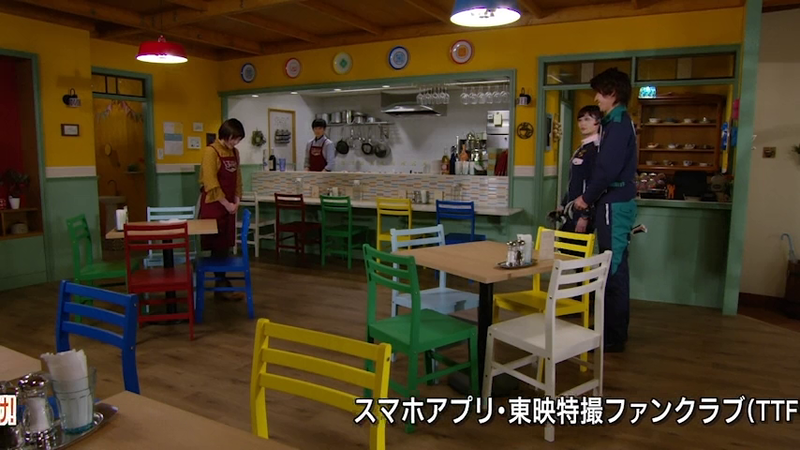 How long will il be before Sakuya finds out that his "beloved" Umika il in fact Lupin Yellow? 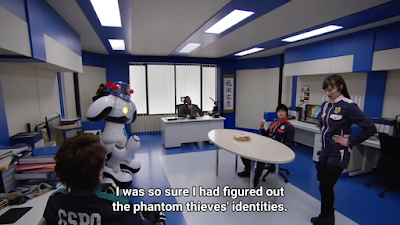 Le Patrangers are still trying to figure out who le Lupinrangers are. Le plan doesn't work. 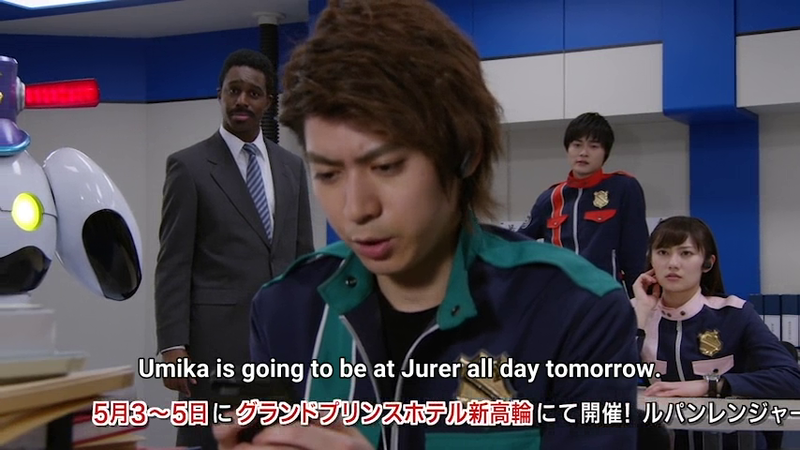 On le other hand, I think Tsukasa may figure out another plan Mais cette duty has to be focused on Ganglers than le Lupinrangers. 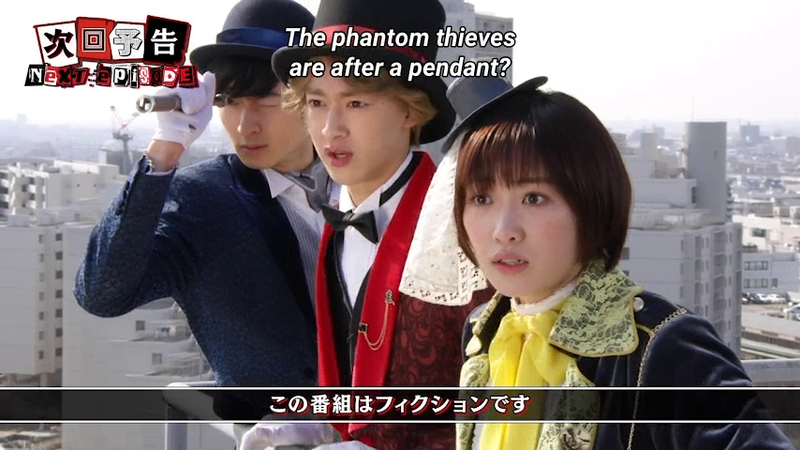 Next week, le Lupinrangers are after a pendant? What in le world is cette pendant? I can't wait to find out! 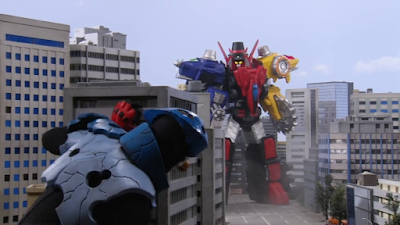 Will the Dekarangers intervene. Or will the pendant be taken back, find out next Sunday at 9:30. Do you watch Over-Time or TV-Nihon? 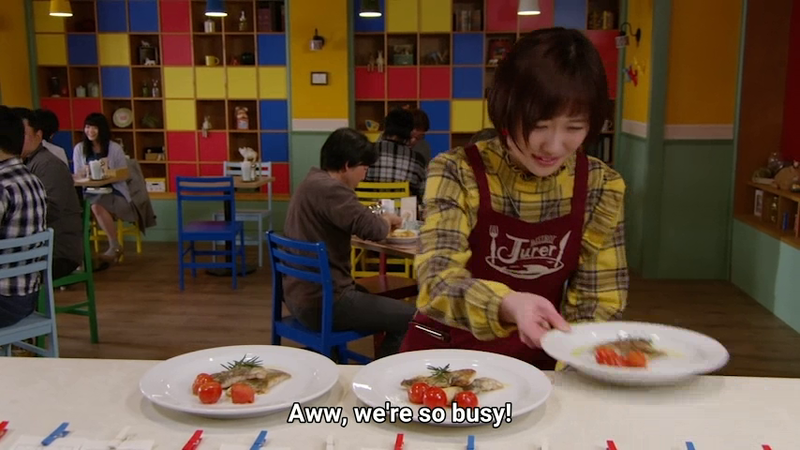 I use Over-Time subs most of the time but I also use TV-Nihon at times.